Get the entire set of Robin McKenzie's Mechanical Diagnosis & Therapy texts. Special Offer! 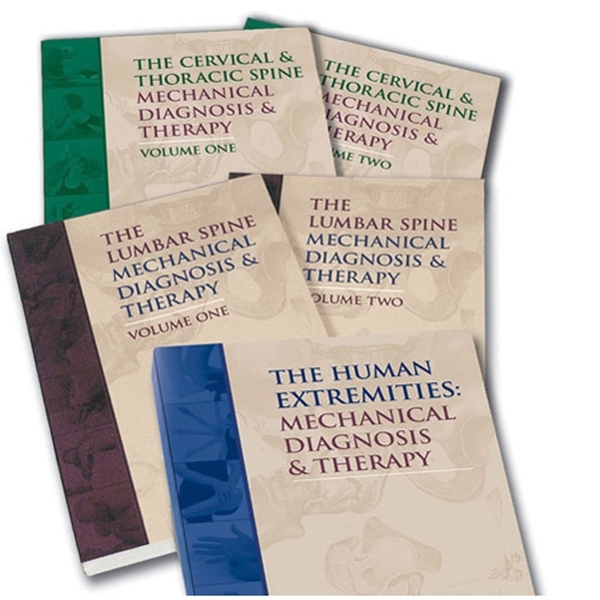 This set includes one each of the following: #801-2 - The Lumbar Spine 2nd Edition; #806 - The Human Extremities; and #808-2 - The Cervical & Thoracic Spine 2nd Edition. These three titles together offer the most complete method for the classification, examination and management of mechanical disorders of the human musculoskeletal system. Written by Robin McKenzie and Dr. Stephen May.